It was a tough decision, but I’m going to have to go with Jessica and Jake’s going away party for this one. I didn’t know most of the people there, but I got to celebrate this couple with some of my closest girl friends and my husband, who was such a great sport and drove so I could get my drink on. The memory that stands out the most for me that night was when we had the ridiculous idea to roast marshmallows in the host’s backyard fire pit. I remember we were giggling like little kids and dropping gooey marshmallows everywhere. It was really fun. Simple, effortless, and fun. I don’t really remember much about the music, food, drink (well, I do remember wine…), or clothes, but do those things really matter? Isn’t it the people and shenanigans that make a party fun? 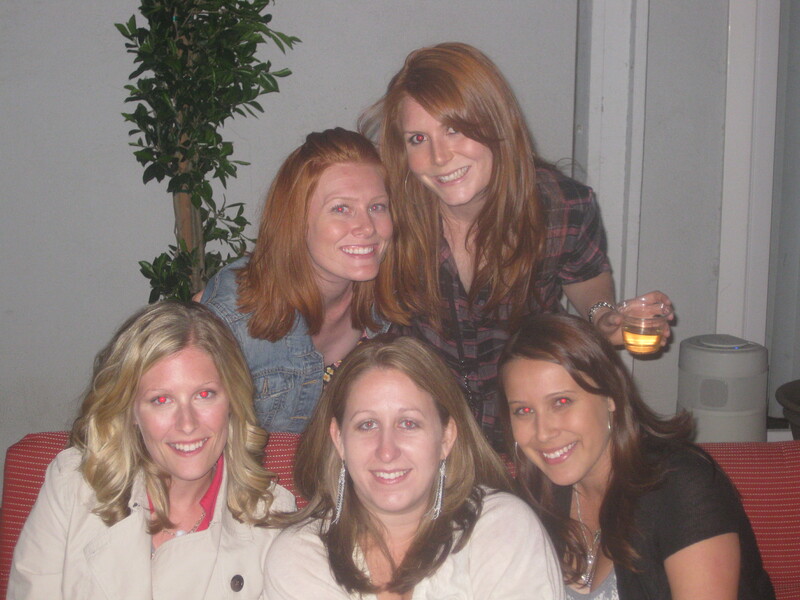 Me and my girlies at Jessica and Jake’s going away party – can’t wait to see them again soon!